In the latest instalment of our “5 Questions With … ” series, Niki talks to Brenda Haas, garden communicator, social media manager and host, photographer, and passionate home gardener, about her gardens and the popular weekly Twitter chat, #gardenchat. 1. Where did your love of gardening come from? I grew up visiting my mom’s family, who were farmers in Michigan, but my parents also enjoyed home gardening, growing veggies and strawberries. I remember canning the bounty that we would bring home from my uncle’s farm because our home garden only produced enough for us to enjoy as we harvested. 2. Tell us a bit about your current garden. What do you like to grow? Twelve years ago we moved our family to a property with 18 acres, of which 11 acres are wooded. It’s smack in the middle of farmland and is surrounded by woods and a river. I now have a traditional veggie garden that measures 40 x 60 feet, as well as an additional landscaped area around my greenhouse (30 x 60 feet) where I grow more veggies and herbs in raised beds. I also have various landscaped areas filled with perennials and shrubs. In 2012, I started expanding my rose collection and now grow over 20 different varieties. However, trees are my true passion and each year I support the local soil and water division in my area and buy 50 to 100 tree starters that I raise and plant in various locations on our property. 3. You’re very social media savvy and encourage other gardeners to share on social media. What benefits does social media offer gardeners? If it wasn’t for social media, I would not have the gardens I do today – I grow things I never knew existed! It has been so inspiring to watch fellow gardeners get excited about gardening and then sharing their experiences on social media. It is PRICELESS to be able to CONNECT with growers from around the world about various plants and trees. I’m just as excited about getting fellow gardeners online and sharing their experiences as I am when I watch one of my baby trees grow. Social media is not going away and it is important that we keep sharing to encourage others to get out and try gardening. A glimpse at some of Brenda’s raised veggie & herb beds. 4. Where did the idea for #Gardenchat come from? How has it grown over the years? Five years ago, there was a group of like-minded gardeners that used to chit-chat on Twitter and Facebook about what we were growing. This was a great time in my life because I was first introduced to organic gardening and greenhouse gardening by connecting with one of these Twitter groups. #gardenchat evolved from the popular Twitter chat forum #AGchat. I was part of a group that was tweeting about how we need our own chat and #gardenchat was born! I eventually created a website to document what was being shared during the Monday night Twitter events. (Those transcripts date back to 2009 and can be found on connect-share-grow.com.) Today #gardenchat is a part of the leading social media platforms like Twitter, Instagram, Google, Facebook, and Pinterest, and gardeners of all levels of growing experience and from all locations are encouraged to take part and share. Brenda’s passion for gardening is infectious! 5. What are you most excited about for the 2015 growing season? I’m a huge pepper lover and I am very excited about all the different varieties I am growing from seed. We entertain family and friends almost daily outdoors and I really enjoy using our homegrown peppers in the meals! Last year I successfully grew popping corn and I look forward to doing that again this year along with some beautiful ‘Glass Gem’ corn. I’m also expanding my gourd collection, so that I can grow plenty of gourds, which will be dried and used in art projects. Most of all, however, I’m excited to watch everyone grow on social media! 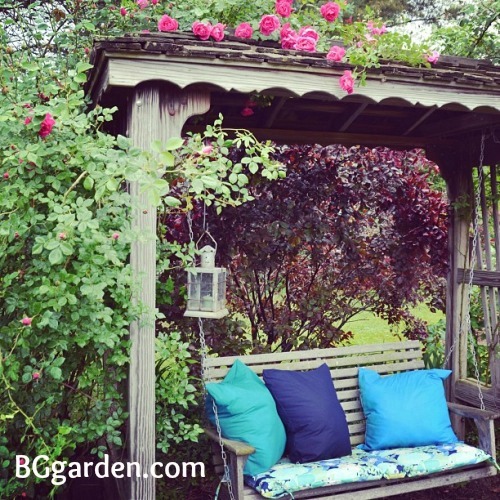 I really enjoy checking out the gardens and plants that people are growing around the world on #gardenchat Twitter, Facebook, Instagram, and Google! 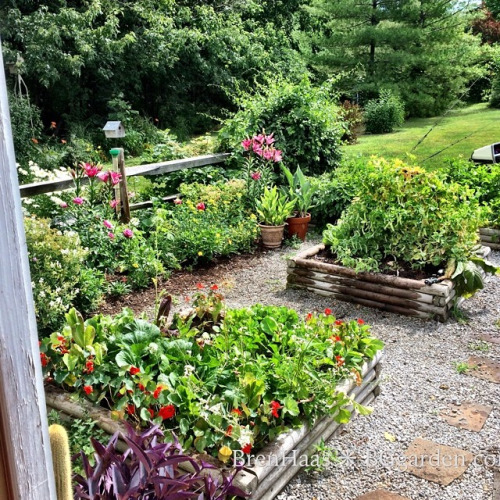 Brenda lives and gardens in zone 5B Ohio where she blogs about her gardening adventures. She specializes in digital photography, social media content building, web development, and social media strategy. 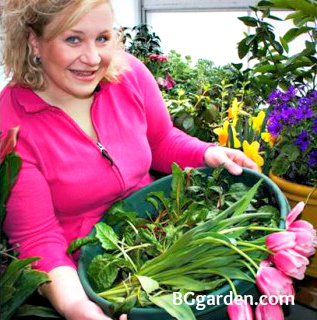 Brenda also co-hosts the weekly Garden Chatter Google Hangout with Adam Cortell, is the Community Board Manager on Ask & Share HGTV Gardens, and, of course, engages thousands of gardeners each week on Twitter with #gardenchat (Mondays 9 pm EST). Savvy’s Niki Jabbour wins the gold! Savvy Gardening’s Jessica Walliser wins a big book award!